The debate over whether or not vaccines contribute to the development of autism is far from settled. Many families insist that their child developed normally, but then regressed into autism after receiving routine immunizations. The official statement from the CDC is that vaccines do not cause autism, however the United States Vaccine Injury Compensation Program has awarded financial compensation to parents of autistic children because vaccines could not be ruled out as the cause of neurological damage. By the mid 1980’s, vaccine manufacturers were losing so much money from vaccine injury lawsuits that they threatened to stop production of life-saving vaccines in order to protect profits. With the intention of preserving the vaccine program, Congress passed a new law, and those harmed by a vaccine could no longer sue the makers of the product that injured them. Instead, parents would now have to petition the National Vaccine Injury Compensation Program (NVICP), funded by the government. Exempt from any liability, pharmaceutical companies added vaccines for four new diseases,resulting in a total of ten extra shots before age one. These vaccines were now being given earlier in life than ever before. From the 1940’s when the first autism cases were diagnosed, to the 1980’s when the vaccine schedule was expanded, the rate of autism remained relatively stable. In the early 1990’s, however, parents and physicians witnessed the beginning of the autism epidemic. In just one decade, the rate of autism increased 500%, from one in 2,500 to one in 500. In 2014, Centers for Disease Control and Prevention (CDC) whistleblower, William Thompson, stated that he and other researchers “omitted statistically significant information” from their 2004 study funded by the CDC. The flawed study was used to support their position that there was no link between vaccines and autism. A reanalysis showed a connection between African American boys and a higher incidence of autism if they received the MMR vaccine prior to 36 months of age. The first cases of autism were diagnosed in children born during the 1930’s, when the first vaccines containing thimerosal, a preservative containing mercury, came on the market. 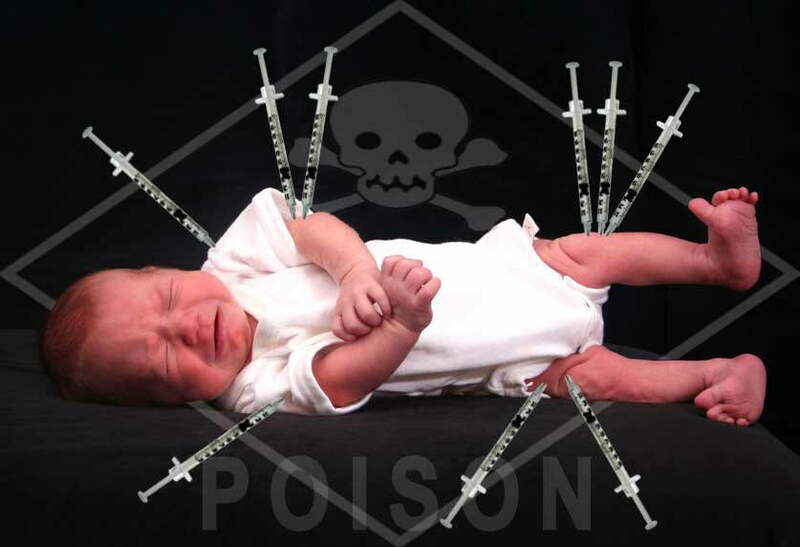 With the expansion of the vaccine schedule starting in the late 1980’s, the cumulative dose of thimerosal given to fully vaccinated babies went from 75 micrograms to as much as 187.5 micrograms in the first six months of life. According to the Environmental Protection Agency (EPA), the highest safe amount of thimerosal for a six month old baby (of healthy weight) is 1.6 micrograms. Despite recommendations from the Institute of Medicine (IOM) in 1999 to remove all thimerosal from vaccines, today, infants as young as 6 months old are still receiving mercury in the form of thimerosal if they receive the multi-dose vial flu shots at levels higher than EPA safe limits. Although never tested for safety in pregnant women, these same mercury-preserved flu shots are also given during all trimesters of pregnancy.